Team Black Falcon is in Belgium this week for what is their third 24-hour race of the 2014 season. 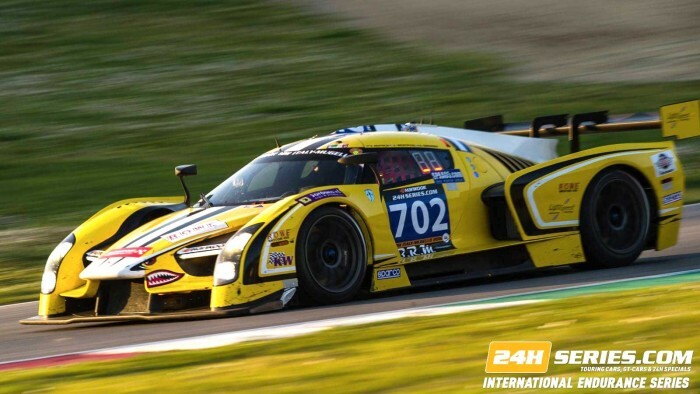 After successfully taking part in the Dubai 24 Hours and 24 Hours of Nürburgring, finishing on the podium on both occasions, the team seeks its first 24-hour victory of the year at the fourth round of the 2014 Blancpain Endurance Series, the Total 24 Hours of Spa. 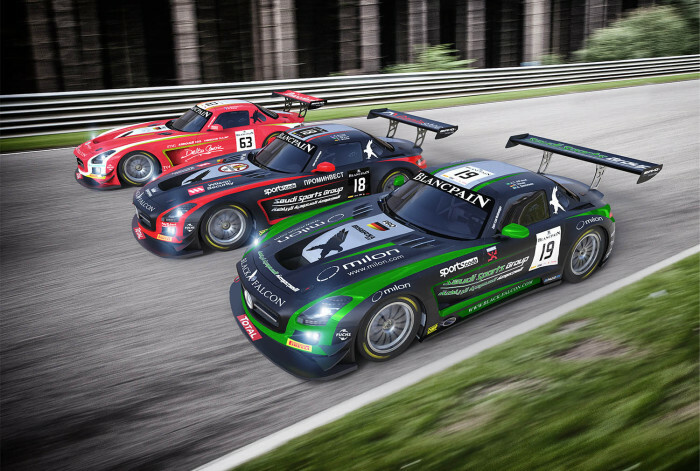 To boost its chances of battling for an outright triumph, Team Black Falcon is entering three cars for the first time this season; two of these entries will race in GT3 Pro class, the #19 black and green Mercedes SLS AMG GT3 will be shared between Abdulaziz Turki AlFaisal, Andreas Simonen and Hubert Haupt; the #63 red Mercedes will have Yelmer Buurman, Adam Christodoulou and Mike Parisy behind the wheel. The third #18 black and red racer, on the other hand, will compete in the GT3 Pro-Am category, with Richard Muscat, Vladimir Lunkin, Saud Turki AlFaisal and Christian Bracke. 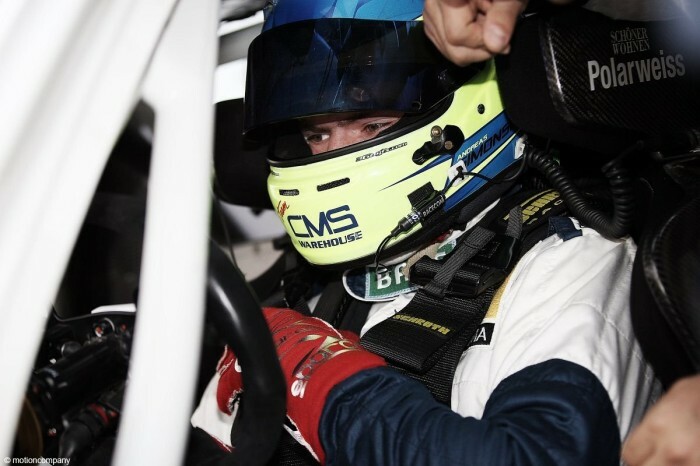 Bracke has won the Zandvoort 12 Hours this year and drove for Black Falcon at the 2013 Nüburgring 24 Hours. Drivers will tackle the 7-kilometer Circuit de Spa-Francorchamps that boasts a mix of long straights and challenging fast corners, including the legendary Eau Rouge corner. Its elevation changes, variable weather and classic La Source hairpin continue to make it a true test of driver mettle. Spa remains of the last few proper tracks with a good combination of slow, medium and fast corners together with long straights, requiring a medium downforce set-up and mechanically balancing the cornering grip against accommodating the track undulations. 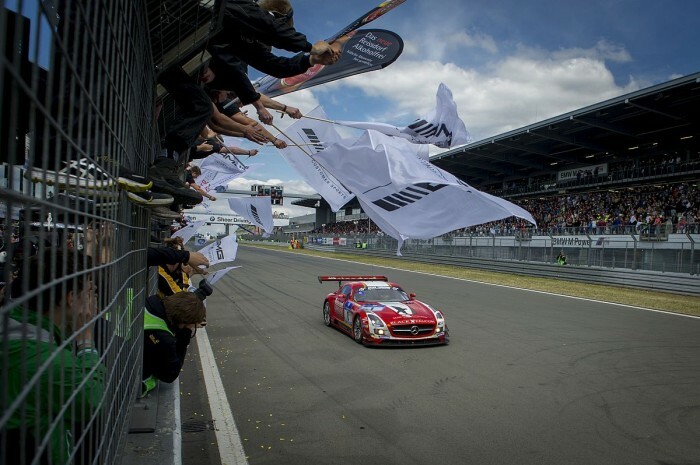 It is the second longest track on the Blancpain Endurance Series calendar after the Nürburgring Nordschleife. As with every 24-hour race, the Total 24 Hours of Spa will have plenty of challenges packed for the team, most notably, Circuit de Spa-Francorchamps’ highly erratic weather that can turn a race upside down and dramatically shuffle the order. At Circuit de Spa-Francorchamps, it can often be simultaneously raining and dry on two different parts of the track, which makes it extremely hard for the team and drivers to come up with an optimal strategy. The weather conditions will definitely be something to look out for and will no doubt play a major role. However, unlike the previous two 24 hour races in Dubai and the Nürburgring, the Total 24 Hours of Spa will play host to cars that are only part of the Blancpain Endurance Series, therefore only two classes will be present at the track, which reduces the risk of accidents as most cars are of almost similar speed. The race is scheduled on Saturday, July 26th at 16:30; it will be preceded by Free Practice, Pre-Qualifying, Qualifying and Night Qualifying on Thursday, followed by Super Pole on Friday.